雇员 | Autoneum. Mastering Sound and Heat. 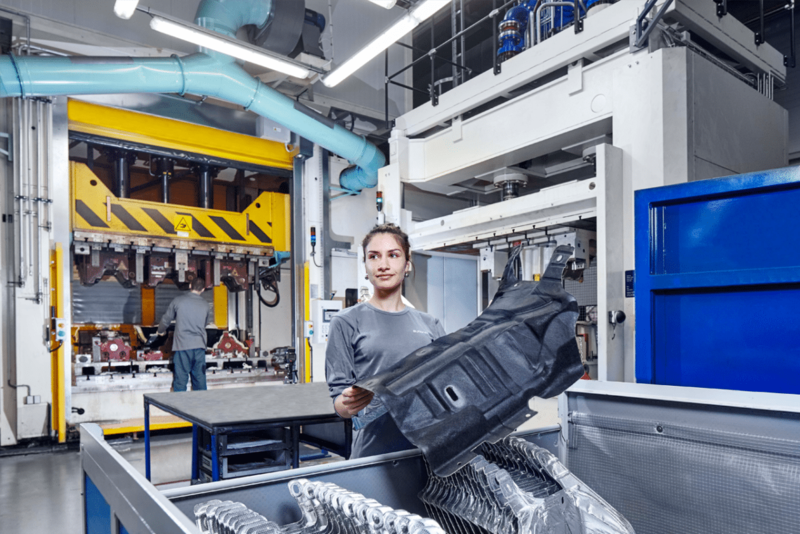 As a manufacturing company, employee health and safety is of critical importance for Autoneum. We are committed to provide and maintain a safe and healthy work environment for employees as well as customers, suppliers and visitors to Company sites. Our approach in this area is defined by the 15 Principles for Good Environment, Health and Safety Behavior with five principles addressing manager behavior and ten principles applying to all employees. Furthermore, Autoneum’s Environment, Health & Safety Management System (MEHS) guarantees that the same health and safety standards are implemented consistently at all locations. This framework integrates international and national laws and regulations and the requirements of the occupational health and safety management system OHSAS 18001. We are committed to a High Performance Culture underpinned by our corporate Values and Principles. Our employees are required to contribute to this culture in all their decisions and actions. At the same time, we continuously invest in their professional qualifications, know-how, capacities and soft skills, which are essential for our business success. Autoneum’s training and education policies and processes are governed by the Human Resources department. We address the training needs of each employee on an individual basis and formulate individual development plans. Besides on-the-job training and locally organized courses, we have set up a People Development curriculum defining courses for Autoneum’s five employee bands, ranging from operators and technicians to management. As a company with operations spanning four continents, Autoneum employs people from a large variety of national, ethnic, cultural and personal backgrounds. Diversity goes hand in hand with our corporate Value of “living a global spirit” and is key for us as a technology leader: Teams with an open-minded culture tend to be more agile, creative and successful in developing new, disruptive ideas. We follow a zero-tolerance approach against any type of harassment or discrimination based on race, gender, age, religion, political or sexual orientation. The key principles of anti-discrimination are described in our Code of Conduct, which is signed by every new employee upon his/her entry at Autoneum. Furthermore, our global Speak Up Line enables employees of Autoneum as well as external parties to anonymously report violations of the Code of Conduct, including cases of discrimination or harassment. Autoneum recognizes freedom of association and collective bargaining as a fundamental human right. Employees are allowed to form employee organizations, to join labor unions or to collectively bargain in accordance with local laws. In some locations where Autoneum operates – such as Switzerland, the United Kingdom, Poland, Russia and some US-American states – collective bargaining agreements are not part of the legal framework. In the European Union, Autoneum’s employee participation is delegated to European Works Councils (EWCs). EWCs are bodies representing the European employees of a company. Besides internal communication channels, EWCs are platforms through which employees are informed about business developments and significant decisions that could affect employment or working conditions.